Recommended for guests who love crab. 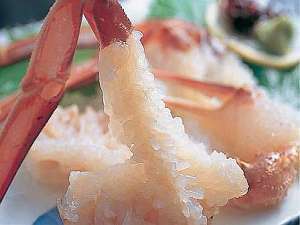 Kobayashiya is perfectly located in the center of town about a 1-minute walk away from Ichino-Yu. Free WIFI is available throughout the entire inn. Meals: Take your time and enjoy your dinner as it is served to you in your room （Breakfast is served in the dining hall). 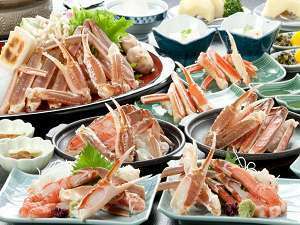 Menu: Crab sashimi, Crab miso, Crab miso tofu, Crab steamed egg custard, Boiled crab, Grilled crab, Crab hot pot (crab, vegetables, mochi [rice cake]), Zousui (rice soup), Pickled vegetables, Fruit. This is our second most popular plan during winter. 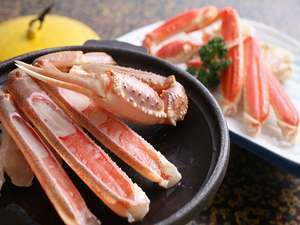 Enjoy this unforgetable meal of delicious crab cuisine. 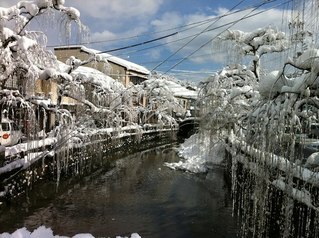 *Information: Includes a public hot spring pass（YUMEPA）. Free parking is available（up to normal-sized vehicles）. *Attention: For larger vehicles such as RVs, microbuses, station wagons and so on, a parking fee does apply. For more information on this fee and such, please contact us directly. 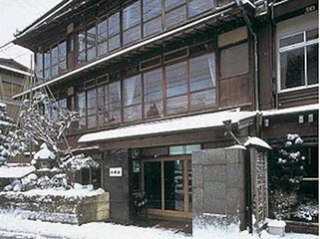 Extra Notes Regarding Fees: Adult：Hot spring tax (150 JPY), Hot spring fee (200 JPY), and a child hot spring fee (100 JPY) are not included in the listed price. *Please understand that the cost of breakfast does not differ between adults and children. *For infants older than 1 year old, a facility usage fee of 1080 JPY is charged.（We can prepare kids chopsticks and a bowl） *For infants less than 1 year old whom do not need any preparations on our part are able to stay at no extra cost. If special requests are made for extra preparations for the infant, a fee will be charged. *Notice: Please refrain from bringing perishables and lunch boxes onto the premises because they may lead to food poisoning. Please refrain from bringing cooler boxes into the guest rooms. If you have one, we can store it at the front desk for you during your stay. Please refrain from bringing in outside drinks while meals are being served. Thank you for your understanding. Children under 3 years old who do not require anything may stay free of charge. If anything is needed guests are asked to pay for any needed item individually. Guests wishing to make reservations under the student plan must present a valid student I.D. at check-in. If no I.D. is shown the student discount fee is waved and the guests will be expected to pay the regular price.